Since the American Shorthair is rather playful she gets plenty of exercise, so with a proper diet she should maintain her lean physique. This should improve the odds she doesn’t suffer from weight-related problems in older age. 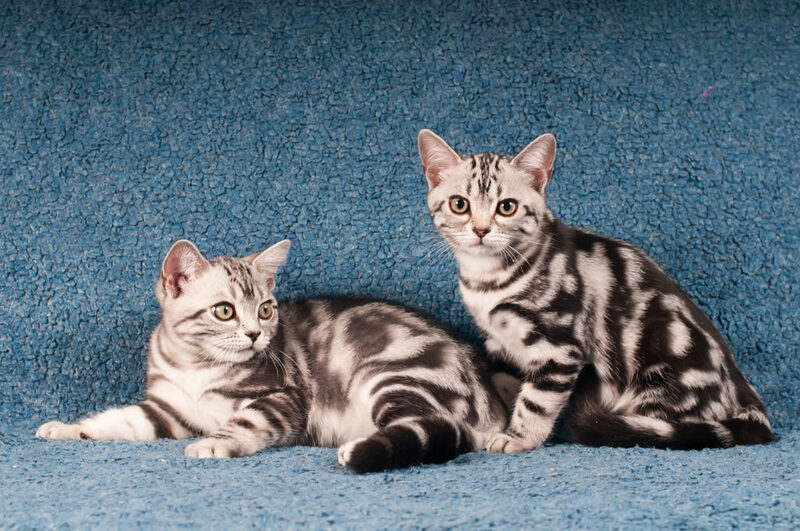 This is especially good news because American Shorthairs have a lifespan of up to 20 years. The most common health problem seen in the American Shorthair breed is hypertrophic cardiomyopathy. This heart disease is believed to be hereditary, but that doesn’t mean it will never develop even in a cat with a healthy family line. Regular visits to the vet should include a preventative check for heart diseases signs and symptoms to catch and treat them early. The diagnosis of this disease can be completed with a few imaging techniques, and a simple check-up on the cat’s blood pressure. Fortunately, there are medicines and treatments available for cats with hypertrophic cardiomyopathy. The veterinarian may prescribe one or multiple medications to treat the condition, such as aspirin, Diltiazim, or Warfarin. Also, it may be wise to keep the feline on a salt-reduced diet to decrease the risk of heart failure. After six months of treatment, your American Shorthair could be given a clean bill of health. While the American Shorthair is a rather healthy breed, it is not immune to common health problems afflicting all cats, such as fleas, urinary tract infections, tape worms, diarrhea or even hairballs. These are generally very non-serious, common health issues that can arise at any time while taking care of any cat. Luckily, all of these health issues have very simple, inexpensive treatments if they become a problem. 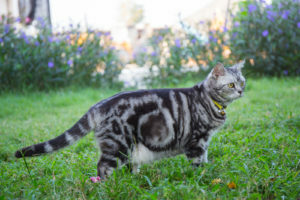 In short, the American Shorthair is an overall healthy breed that should be a long-time friend with proper care.